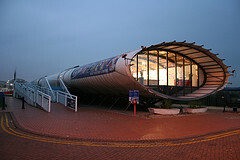 Open 7 days a week, the Cardiff bay Visitor Centre is on hand to provide you with the latest activity information for the Cardiff Bay area and surrounding region. 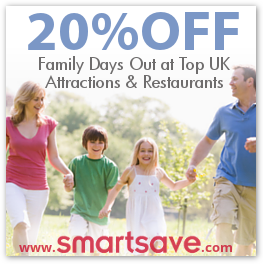 It can also help you to book a hotel or bed and breakfast from a selection across the whole of Wales to make your stay as enjoyable and stress-free as possible. The exhibition and cinema room gives you the opportunity to absorb interesting information about the local area and its colourful past. Not only that but it showcases many of the local water activities and events that you can get stuck into on your visit. Cardiff Bay itself is Europe’s largest Waterfront Development so there is certainly plenty to keep you occupied. Originally known as Tiger Bay, it boasts a vibrant history with seamen and naval workers from more than 50 countries having settled there in times gone by. And a somewhat more recent claim is that singer Shirley Bassey was actually born in the Bay. The scenic encapsulation of the rivers Ely and Taff, called the Cardiff Barrage, is the main feature of this area as it effectively connects the two sides of the bay and reduces the dramatic tidal movements. As a result it has also created 8 miles of waterfront overlooking a 500 acre lake of freshwater. This has primed it for leisure development and has made it a great place for tourists to visit. So if you’re into boats and on-the-water adventures then this is the perfect place to be. There are multiple boat tours on offer from Mermaid Quay or you can embark on a floating trip to Penarth and the city centre directly from the Bay. Opening Times: 10am-6pm, 7 days a week.